The purpose of this study is to understand the dynamic relationships between managerial human capital, dynamic managerial capabilities and strategic change within boards of directors. Building on the dynamic managerial capabilities perspective and upper echelons theory, we theorize and investigate the impact of managerial human capital on strategic change as well as the mediating role of boards’ sensing, seizing and reconfiguring abilities, defined as dynamic managerial capabilities. The hypotheses are tested on a sample of 606 Norwegian firms. 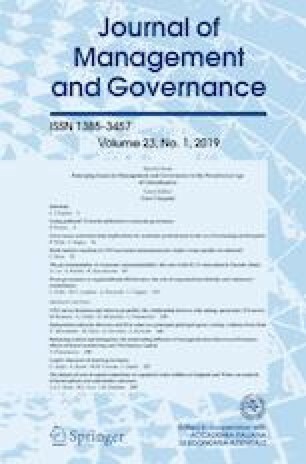 The main findings suggest that while managerial human capital positively impacts strategic change, boards’ sensing and seizing abilities (not reconfiguring) positively mediate the relationship between human capital and strategic change. Implications for theory and practice are discussed.